So Lonely in Gorgeous: Whose Cuisine Reigns Supreme? Chicken Quesadillas! Whose Cuisine Reigns Supreme? 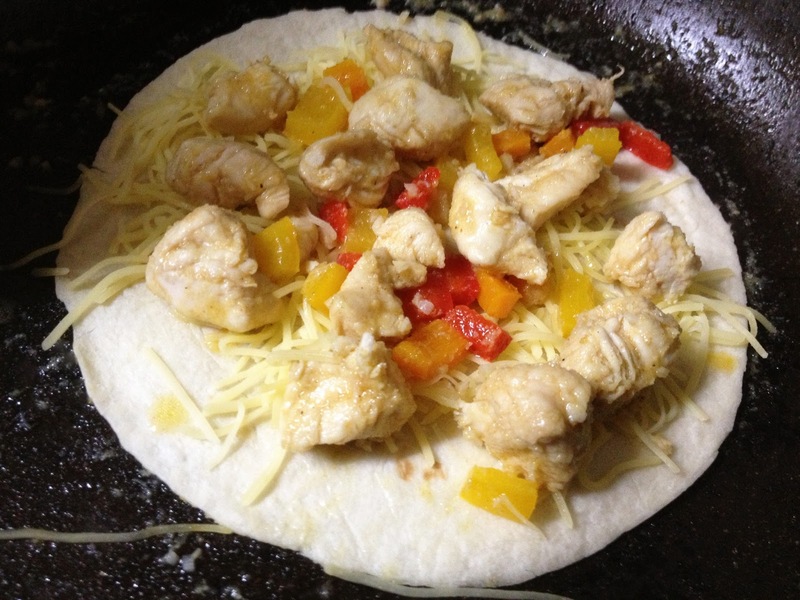 Chicken Quesadillas! Thursday night I had some friends over for dinner, decided to go with a crowd pleasure, and made Chicken Quesadillas. 1/4 cup of vegetable oil. 3 tablespoons of lime juice. 3 teaspoons of ground cumin. 1 teaspoon of black pepper. 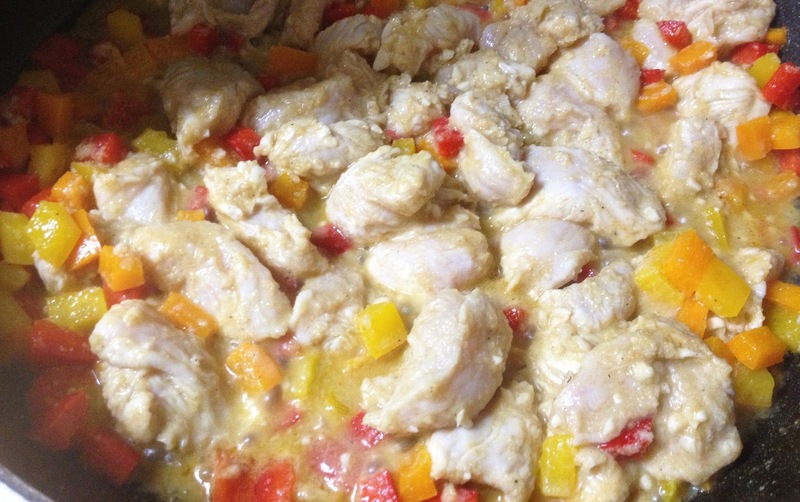 1 1/2 pound of meat (chicken breast, shrimp or steak) cut into small pieces. 1 medium onion (optional, I'm not a fan of onions, so i omit it). Not the most appetizing photo, but trust me, it's delicious! In a heavy duty plastic bag, combine the meat, vegetable oil, lemon and lime juice, minced garlic, cumin, garlic and onion powder, salt and pepper. 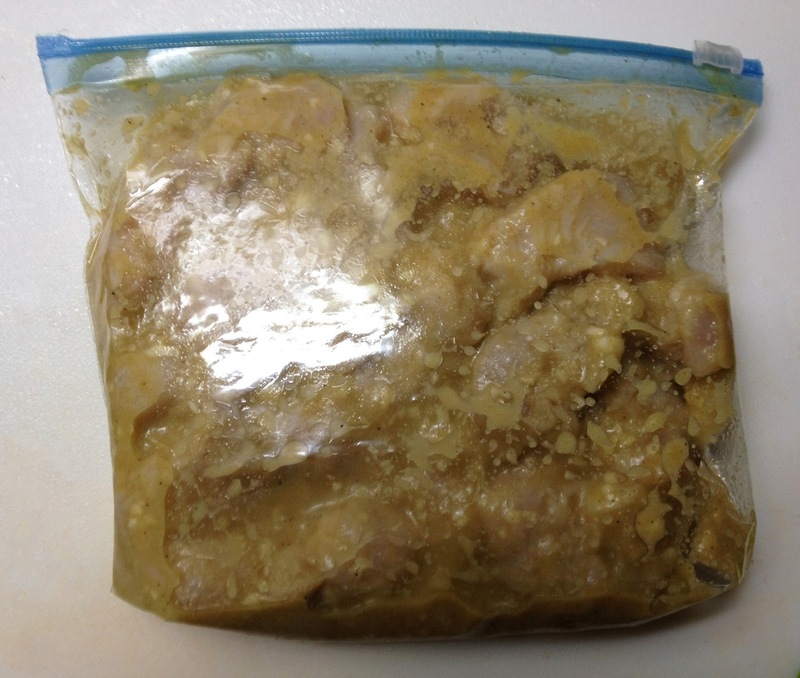 Shake the bag to make sure all the meat is coats, place it laying flat in the refrigerator, and marinate for 30 minutes. While the meat is marinating, chop the peppers and optional onion into small squares. Add them to a lightly vegetable oil coated frying pan, sprinkle some salt and pepper, and heat until tender. Add the meat to the peppers, cook over medium heat until done, then set aside in a bowl. 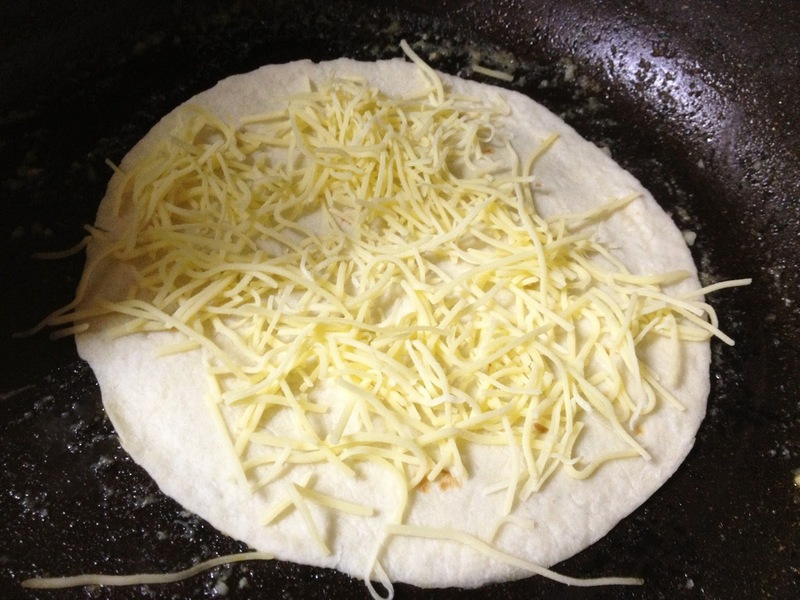 Place a flour tortilla in the pan, and spread some shredded cheese over it. 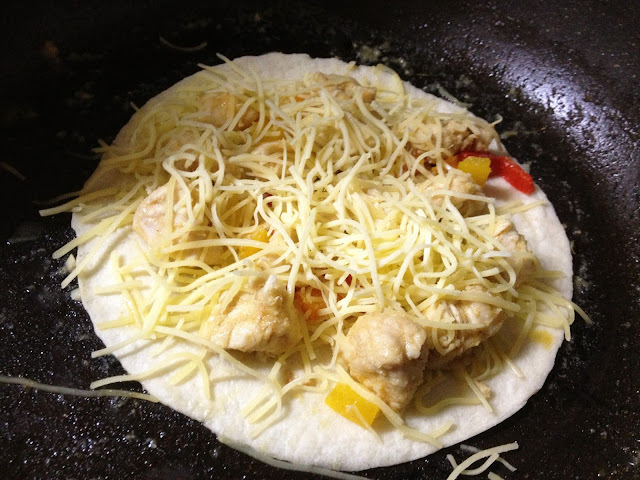 Arrange the meat and peppers mixture over the shredded cheese. 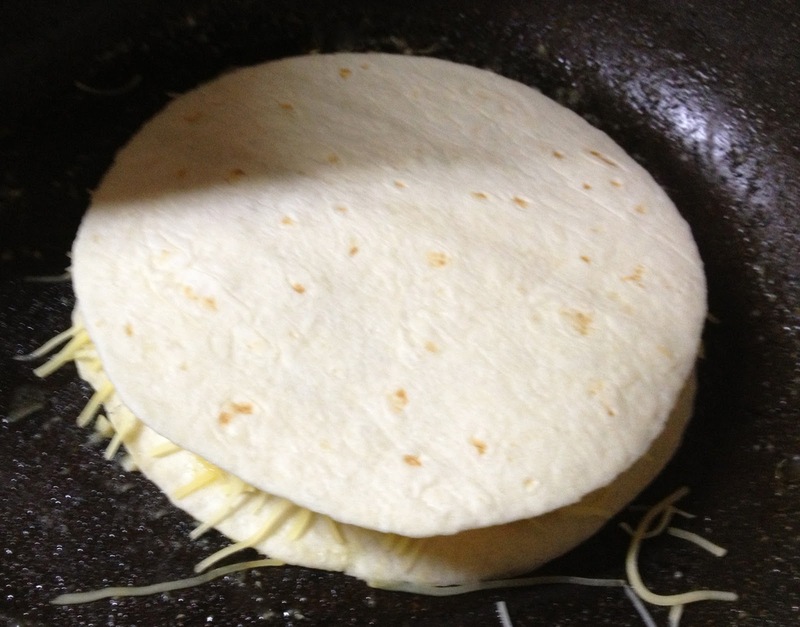 Then place another flour tortilla on top. Carefully flip each side until golden brown or desired crunchiness. Guacamole is a MUST topping for my quesadillas! It's the perfect accent, and really enhances all the flavors. 2 minced cloves of garlic. 1 chopped onion (Once again optional. I don't like onions, and raw ones even less). Lemon juice (add to taste). Salt and pepper (add to taste). Mix all ingredients in a large bowl to desired consistency. Hope you enjoyed this foodie post, and if you try this recipe, please let me know! ⋅ Labels: Whose Cuisine Reigns Supreme? Yeah, the only why I can get onions is if they're onion rings or burnt to a crisp. I would most definitely come for dinner! I like to add some finely diced chili to guacomole too. I think my favourite social food is a Barbecue, with fresh salads, crispy bread & potatoes baked in the coals. At best after a sunny day on the beach, but I need to go back to South Africa for that. What's up with this dismal weather in Northern Europe?? Let's have Summer already!! I love barbecues, but having them over is a a bit of a pain. After you're done, you have to bring all your trash with you...not fun! Also, BBQ's over here are more like Korean BBQ's. Which I love, but nothing beats a steak or chicken breast cooked on a grill. A day (week) on the beach is actually what I need! I've seen flour tortillas in Maruetsu, Kaldi, Gourmet City, Ito-yokado and Costco. You can find ground cumin in just about all grocery stores (Maruetsu, Kaldi, Gourmet City, Ito-yokado, etc) in Tokyo. I'm glad you tried and enjoyed the recipe. If you like I can mail you some cumin. Sugoi! You've made this twice already? Great that you were able to find Cumin at Daiso, you'll love it! The World Only Sumiredama Knows! Laser Lavender, Revlon Nail Enamel! Shu Uemura's Friends & Fans Event! Oh, Thou Doth Teach The Torches To Burn Bright!